On a recent trip to Australia I was supposed to meet friends for dinner at the local boat club. I called a cab, and when it arrived, gave what I thought were clear instructions to the driver. After some time driving around the suburbs we arrived at what looked like a poorly lit industrial building – a few sad cars adorned the dark street and certainly not a boat in sight. 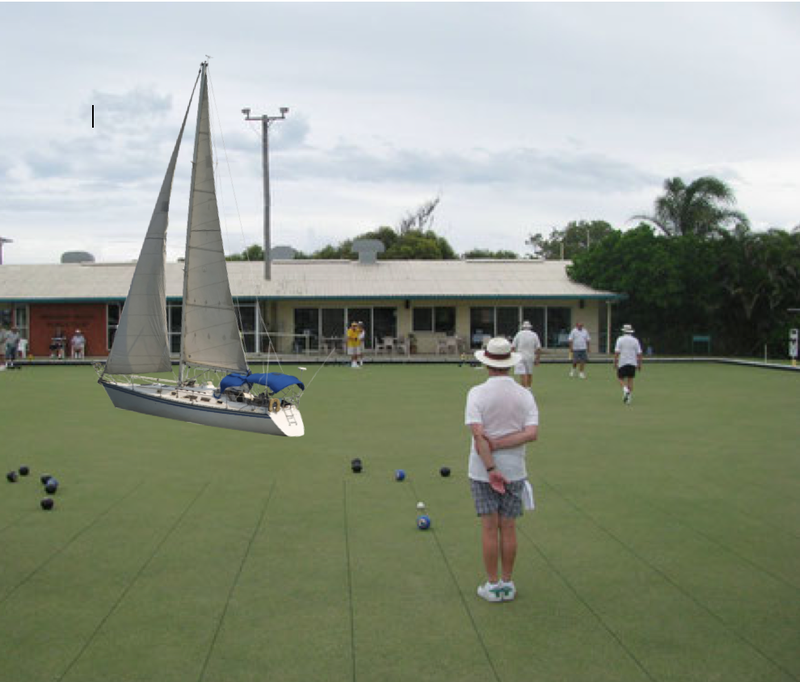 Asking the driver to wait a few moments, I confirmed that it was not in fact the boat club but the local bowls club. Now you may ask how this confusion occurred, but when I repeated my directions to the driver he said in his wonderful Queensland accent, ‘Yeah, this is the local bowls club’! After a short discussion and much hilarity we managed to establish that the bowls club and the boat club were very different places. Of course when I say it now in my attempt at an Aussie accent the word ‘boat’ and ‘bowls’ sound uncannily alike. It certainly reminded me in a funny way that we can speak the same language but not understand each other. Of course, it goes the other way too. A dear (Irish) friend of mine met and fell in love with a charming Aussie. It was a whirlwind sort of affair. They were engaged when he came to Ireland for the first time, and being a genial sort, he decided to join her at Mass. Not being of the same faith it was a different experience for him. During the mass at the Sign of Peace when people shook hands he partook like everyone else. Later on he remarked that the locals were a very friendly bunch. My friend, being somewhat confused, asked him to elaborate. Both of these are lovely examples of our predisposition to establish meaning and understanding based on what we expect to hear – sometimes even more so than what is actually being said. Isn’t it entirely reasonable to expect, that if some stranger holds out their hand to shake yours, they may be saying ‘pleased to meet you’? When the sounds we are presented with are a bit fuzzy on account of an unfamiliar accent, the prior experience of hearing ‘pleased to meet you’, combined with an extended hand can carry more weight than the actual sounds emanating from another. There’s a much bigger, and more formal story here about prediction – too big for this little post, and for others to launch – but the general notion of hearing what we expect to hear is one worth exploring. Many narratives concerning modern, biopsychosocial – good – therapy focus on listening to the patient. And rightly so. Careful listening – hearing the patient’s own story in their own words – can be therapeutic in itself, and is also certainly necessary for all the other therapies to follow. But herein lies a problem – if what we expect to hear plays such a big role in what we actually hear, how much of me do I hear when I listen to you? And what if we look at it from the patient’s perspective – how much of what they actually hear us saying as therapists is influenced by their previous experience with health care practitioners or beliefs that they hold? How confident can we be that the patient actually understands us, even before we consider second languages and cultural differences? What about the situation where we have no context at all (no expectations) to help us understand what is being said. This surely happens in health and medical contexts all the time when health professionals use language that is foreign to patients – perhaps you have experienced this when trying to discuss a patient’s experience of pain in, what is to them, very new language? Even a single word, a name, can cause confusion. When you have an Irish name such as mine, just ordering a coffee can be a bit of an ordeal. Based on my experience, it seems that no Australian barista (understandably) expects to hear Blanaid when they ask for a name to scrawl on the side of a cup. No number of attempts at saying it can prevent the ‘Blay – nerd?’, ‘Blonart?’ or (the definitely untrue) ‘Blondie?’ in response! Listen to the short recording at the link here*. What did you hear? Could you make any sense of it? What about the recording here**. Take a moment to consider your experience of hearing these recordings. Go back and play them again. Perhaps you feel like you’re on the edge of understanding, or perhaps it is meaningless noise. Try to capture your experience, your sense of confusion. Now scroll down to the bottom of the page and read the corresponding sentences and go back and listen to the recordings (examples of sine-wave speech). What you’re listening to hasn’t changed, but what you hear is very likely to have. Now, no matter how hard you try, you can’t not hear what is being said. It can almost seem like magic, the way that the words now resolve into an understandable sentence. Knowing what to expect, and expecting to hear a sentence changes everything. With everything going on here, therapeutic encounters could very well be reframed as the collision of two (maybe more) sets of expectations – is it any wonder that communication can be fraught in the clinic? Perhaps an awareness of these expectations would be a good place to start. This could include a careful (re)consideration of the questions we ask and reflection on how much our expectations of the answer might shape what we hear . The examples of sine-wave speech reinforce the idea that new information can be difficult to make sense of, and that respectful repetition can be useful to gradually expose new ideas, encourage new expectations, and then to build on these in an ongoing, iterative and reciprocal manner. Asking patients what they have understood and then listening carefully, being alert so that we don’t hear what we expect (and want) to hear, also seems like a valuable approach. There’s a lot more to explore regarding expectations (we’ve barely scratched the surface here)- treatment response, placebo, nocebo and much more. And there is some very original and exciting work in formal theories of prediction, pain and the brain being pioneered and undertaken by Dr Mick Thacker in Kings College London to look forward to. But ultimately there’s nothing like being dropped off alone at an unknown destination, in the middle of an unfamiliar city, at night, in Queensland… to get one thinking about differing expectations and communication. Blanaid Coveney is a practising physiotherapist in Dublin, Ireland. Her professional interests include pain, epidemiology and all things brain related. I love this piece. I am in the US and on the way home. It reminded me of the time when we met our friend Luca in New York. Luca said to meet outside the Flat Iron building. We thought – Luca must be doing really well – building a flat in New York! ( ‘flat i am building’ for those without an Aussie accent!). We have just had two great EP3s with Mark Jensen around this topic . Trying not to hear (or find) what you expect….what a skill. Thats a great example of predicting what you may hear based on prior experience. Very funny! I loved the one told to me by a junior doctor friend who received a typed list of the following days minor surgical procedures . He was puzzled when he saw one described as a left baloney skin biopsy. Perhaps the person who was typing was thinking of their lunch ? ?